What is Really Small Message Broker? Really Small Message Broker (aka RSMB) is a small server that uses MQ Telemetry Transport (MQTT) (Version 3 and 3.1) for lightweight, low-overhead messaging. It enables messaging to and from tiny devices such as sensors and actuators over networks that might have low bandwidth, high cost, and varying reliability. “Publishers” send messages to the broker, which then distributes the messages to the “subscribers” who have requested to receive those messages. RSMB has a “bridge” that enables connections to other MQTT-capable servers; this bridge allows messages to be passed between RSMB instances as well as to other MQTT servers such as WebSphere MQ. RSMB can run in embedded systems in order to provide a messaging infrastructure in remote installations and pervasive environments. Given Really Small Message Broker’s low memory requirements, it can help extend the reach of the MQTT messaging infrastructure to the smallest components. 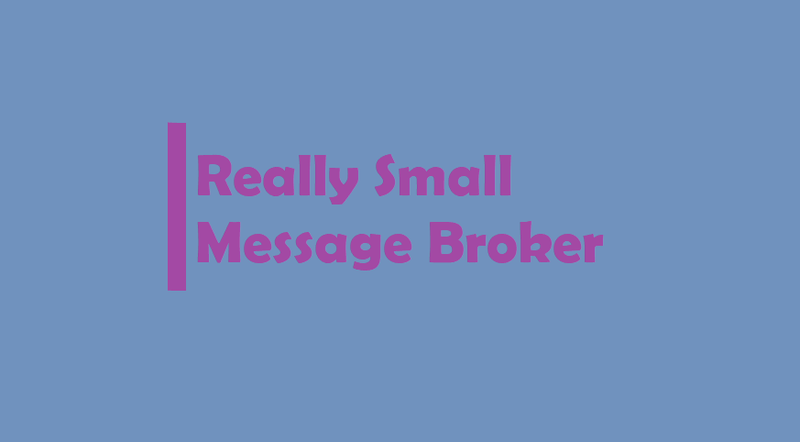 Really Small Message Broker makes it easy to connect brokers together into a messaging infrastructure (either peer-to-peer or hierarchically). It’s easy configuration and low resource requirements provide great flexibility in messaging solutions for embedded environments. Extract the zip file to a location on your computer (for example, C:\Program Files\broker or /home/laura/broker). On Windows, install Microsoft Visual C++ 2008 Redistributable Package, if it is not already installed. Starting the broker on Windows: In the folder where you installed the broker, select the windows folder and double-click broker.exe. In a terminal, change to the directory where you installed the broker (for example: cd /home/laura/broker). Change to the appropriate directory for your platform. For example, on Ubuntu, to linux_ia32.